Periodontal disease by definition is an infectious, contagious, inflammatory, polymicrobial disease with systemic and genetic expression. 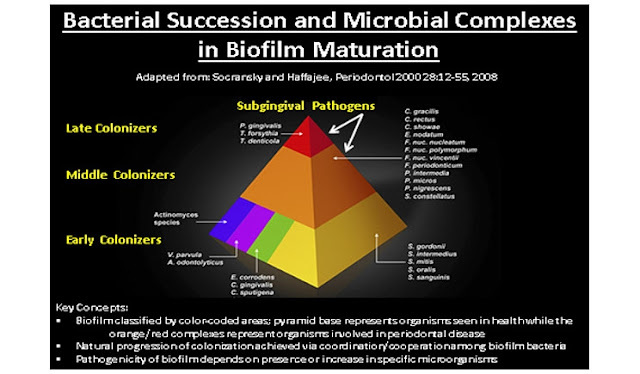 Polymicrobial means many strains of pathogens are present. Each strain presents with different sensitivities to different antimicrobials or antibiotics. It becomes relevant to treating pathogenic infections to know what strains are present to become aware of how best to plan a treatment remedy. The strains present as well as their concentrations can be determined by a simple saliva test. The prescribing dentist determines the appropriate periodontal therapy depending on the results of the saliva test. The patient’s dental and medical history also will be considered when evaluating the use of antibiotic medications to treat the periodontal condition. There are different antibiotic options depending on which pathogens are present and on the concentration of those pathogens. Of the more than 800 oral bacteria, at least 11 pathogens are also found systemically and can be identified routinely by both their individual strain and their concentration via a simple bacterial DNA test. Four of the most virulent and destructive periodontal pathogens are Aa, Pf, Tf, and Td. In salivary pathogen testing and much literature, they are referred to as the red complex, high-risk, or late colonizing pathogens. The high-risk pathogens are initiators of intracellular damage wherever they are found. There are six moderate-risk pathogens: En, Fn, Pi, Cr, Pm, and Ec. This group is known as the orange complex or middle colonizing pathogens, and they are usually collaborative once a red complex organism has entered a cell. Many recent studies are finding that Fn and Cr can be found alone and are seemingly solely responsible for an inflammatory response. The last pathogen is Cs, a low-risk, early colonizing or “green complex” bacteria. It also is collaborative and has been found to be of far less threat systemically than the others. All of the systemically virulent pathogens from periodontal disease are pathogenic, relative to their individual or collective concentrations or to their total numbers. Certainly, there are times for all individuals when each of the strains is present 100% of the time. It is only when genetics, low immunity, low resistance, or chronically uninterrupted colonies are allowed to proliferate that total counts elevate to encourage systemic infection. The systemic impact of periodontal pathogens is profound. Periodontal pathogens are associated with or linked to 16 systemic diseases to date, including cardiovascular disease, diabetes, respiratory disease, chronic obstructive pulmonary disease, rheumatoid arthritis, gastrointestinal disorders, Alzheimer’s disease, osteoporosis, kidney disease, preterm birth, preterm birth weight, and cancer. Periodontal disease treatment, then, must be considered a part of the preventive armamentarium for chronic disease management. Perhaps looking at dentists as doctors of oral medicine, hygienists as oral medicine therapists, dental assistants as oral medicine technicians, and the administrative team members as oral medicine facilitators will bring into focus exactly what dental professionals are responsible for. Dentistry is moving beyond saving a tooth and moving closer to saving and extending lives. 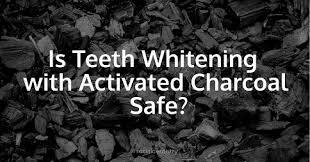 Activated Charcoal: The Next Great Thing for Teeth Whitening, Or Is It? You brush your teeth and floss on the reg. You’ve tried everything from the latest toothpaste to whitening strips, gels and trays but nothing seems to give you that brite-white smile. So what’s the best way to get gleaming pearly whites? 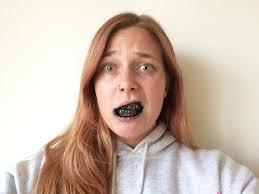 According to Pinterest and YouTube, the path to whiter teeth is covered in a pitch-black paste. Bloggers and vloggers claim that brushing with activated charcoal is an all-natural way to remove surface stains caused by coffee, tea or red wine without bleach or abrasives. To prove it, they’re flaunting soot-covered teeth straight out of a horror movie. The result? Fluorescent white teeth after as few as one use, proponents say. While you may have used charcoal in your skincare and juice routine, should you replace your toothpaste with the powdery black substance? We checked in with dental professionals to find out whether activated charcoal is a safe and effective way to whiten your teeth — or if it will just leave your mouth full of dust. Is Black the New White? More recently, though, the superfine powder has made its way to the health and beauty market, popping up in everything from face masks to cleaners to detox regimens. And the latest body part to get the black magic treatment is your smile. 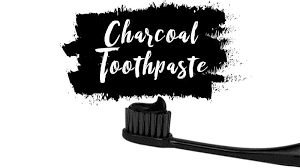 After all, if activated charcoal can remove toxins from our body and skin, can’t it remove those pesky stains from your teeth and get them squeaky clean? But Minneapolis-based dentist and spokesperson for the American Dental Association Dr. Kim Harms, DDS says to hold off. “There’s no evidence at all that activated charcoal does any good for your teeth,” says Dr. Harms. She worries about the potential damage the grainy substance can do to your teeth and gums. “Like any abrasive, we’re worried about the effects on the gums and enamel on the teeth. We don’t know about the safety and effectiveness of it,” she says. And according to Dr. Wolff, attempts to use charcoal in toothpaste haven’t been met with tremendous success.